Prom season is limo season, so make sure you rent your Prom limo or Prom Party Bus from Sunshine Limo Service! 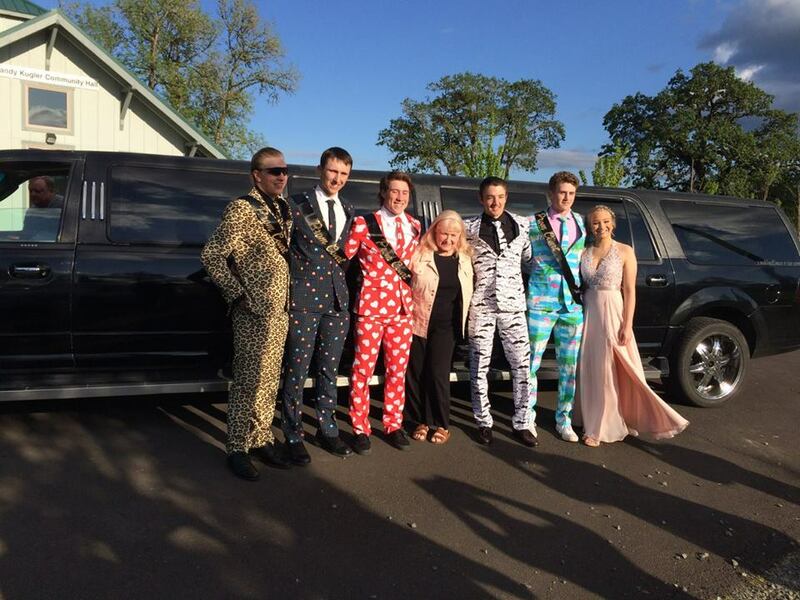 We offer Eugene’s biggest, newest fleet of limousines and Party Buses, with the safest and most fun drivers. Our chauffeurs go out of their way to make sure you have a great time. They are all very “kid friendly” and get along great with high school kids. Book early for your best choice of limousine or Party Bus – we start booking for proms as early as January and usually sell out weeks in advance of popular Prom nights. At Sunshine Limo Service we offer modern late model limos – unlike many of our competitors using limos 10 and 15 years old. Don’t be stuck in a creaky old jalopy limo on Prom night! Book with Sunshine Limo early! Sunshine Limo Service wants all Prom celebrants to have a safe and enjoyable night, so we have a strict no alcohol policy on all Prom limousine reservations. All bags brought on the limo must be looked at by your driver before boarding, and absolutely no alcohol or drug use will be tolerated. Pay for 5 Hours – get 6th Hour Free! *Some restrictions apply – Within 70 miles of Eugene. Cadillac DTS & XTS sedan and Escalade discounts are for Eugene area Proms only. Out of Eugene area travel charges may apply. Portland area Proms are 6 hour minimums, pay for 7 hours and the 8th hour is free. Gratuity and fuel surcharge still apply to free hours.